Back home and just about recovered from yesterday’s effort on the Eiger. 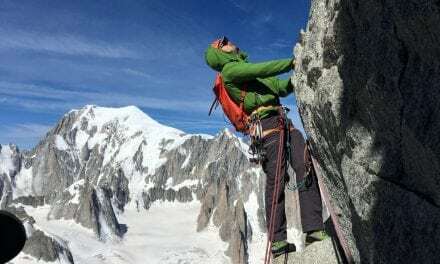 It was a great finale to eight days climbing with Sarah and we ticked off a whole bunch of good climbs including the Petit Verte, Perrons traverse, east ridge of Monte Viso, the Index and the traverse of the Monch. The weather has been a little unpredictable over the past couple of weeks, with a few storms that put down snow and ice on the higher rocky routes. 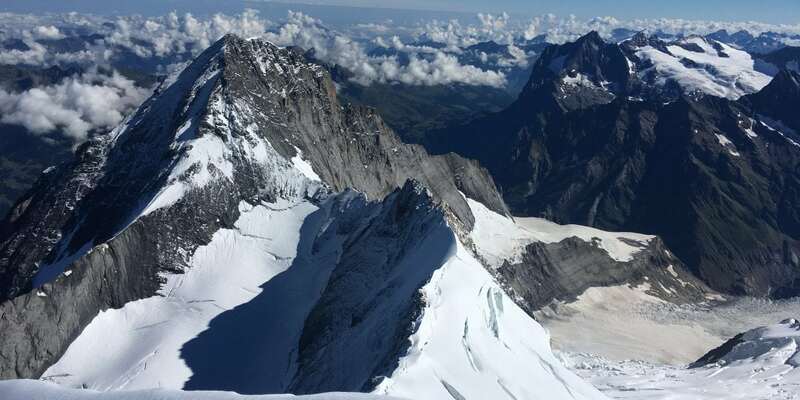 We changed our plan almost daily trying to make the most of the weather, and although we didn’t end up climbing the Mittellegi ridge, the South Ridge of the Eiger was a proper adventure and we had the whole route to ourselves, which is a rarity on a famous mountain in August. The route itself was in excellent condition. A little snow on the initial ridge meant we kept our crampons on, but removed them for the south ridge itself. A 3.45am departure from the hut gave us a good sun rise and we could see head torches heading to various nearby peaks. Climbing the scrambling ground in the dark and on crampons certainly added to the sense of adventure, but it was good to take them off and swap the lights for the sun glasses later on. We were at the summit just under four hours after leaving the hut, and had a few minutes taking in the view before starting the return journey, a mixture of down climbing, lowers and abseils. The south ridge is a long route, with multiple ascents and descents. Quite a different style of route from many mountains. Almost back at the hut, Eiger and south ridge in the background.